January 5, 2012, firefighters from Baden and other surrounding communities, including units from Charles County, were alerted to a house fire. Fire/EMS units arrived on the scene in the 16200 block of Ashbox Road in Brandywine and encountered a 1-story single family home with heavy fire showing. Firefighters initially fought the fire from the exterior of the home and than entered the structure to complete the extinguishment after the bulk of the fire had been knocked down. Two occupants were at home and both were able to exit the home prior to the Fire/EMS Department arrival. The structure sustained extensive, if not total, damage and is uninhabitable. The family will be assisted by the County Citizen Services Unit and the American Red Cross with temporary shelter. Fire loss estimates are still being tabulated. A family pet, a 4-month old dog, is missing. This incident should serve as a warning that if your “live” Christmas tree is still inside your house IT MUST BE REMOVED IMMEDIATELY. Warning - a tree that has already turned dry and brittle needs to be removed immediately to eliminate the increased probability of a fire. The United States Fire Administration (USFA) states that as trees, which are in one-third of all households, dry out, the risk of fires increase. This video demonstrates just how quick a dry tree is consumed with fire compared to one that has-been well maintained. All trees, regardless of maintenance, will dry out. Remove your tree now and avoid any chance of this occurring in your home. Remember “Safety First” ensures everyone goes home; it’s beyond time to remove the tree and keep your family safe. This is a good time to remember to check your smoke alarm and carbon monoxide detector to ensure they are working. Once your tree is outside simply place it on your curb. Never burn your discarded tree. The Department of Environmental Resources (DER) and Waste Management Division (WMD) is offering recycling services to residents with County - provided yard waste collection. If you live in an incorporated city or municipality, check with your local Department of Environmental Resources and Waste Management offices as many offer similar services. In June 1993, Tracy Timmons graduated from the Prince George’s County Fire/Emergency Medical Services (EMS) Department CRS #25 and began her career as a firefighter. After being with the Department for one year, Fire Fighter Timmons cross-trained and became a paramedic. “I realized that I hated not having enough knowledge about what was going on with the patients I was transporting via ambulance. I wanted to know what the paramedics knew,” she said. During her tenure with the Fire/EMS Department, Fire Fighter/Paramedic Timmons was assigned to Landover Hills Fire/EMS Station 830; Chillum-Adelphi Fire/EMS Station 834; and Glenn Dale Fire/EMS Station 818. She was also a member of the Special Tactical Unit at Tuxedo-Cheverly Fire/EMS Station 822. Always one who desired to help others, she derived fulfillment from her dual status of firefighter and paramedic. However, after a while, she was no longer satisfied with just “knowing what the paramedics knew.” Tracy now wanted to know what those to whom she transported patients—the ER doctors—knew. In December 1995, she acquired a Bachelor of Arts degree from the University of Maryland. After 7 years with the Fire/EMS Department, Fire Fighter/Paramedic Timmons left to pursue her dream of becoming a doctor. She received her Doctor of Medicine degree in 2004, from the Virginia Commonwealth University School of Medicine in Richmond. Dr. Timmons’ resume boasts of an extensive list of accomplishments, ranging from Chief Resident of General Surgery with the Virginia Commonwealth University Health Systems to Surgical Critical Care Fellowship with R Adams Cowley Shock Trauma Center (STC), University of Maryland Medical Center. In 2010, she was appointed Assistant Professor of Surgery at the University of Maryland School of Medicine, where she presently serves. Her clinical activities include: Trauma Surgeon, Surgical Intensivist at R Adams Cowley STC and General Surgeon on emergency surgery at Baltimore Veteran’s Administration Medical Center. Impressively, her publications peer-reviewed journal articles include 1). Lin M, Mohammed H, Brazio P, Lavien G, Lumpkins K, Timmons T. “Sacral osteomyelitis: an unusual complication form foreign body ingestion” (AM Surgeon); and 2). Timmons, T and Menaker, J. “Traumatic brain injury in the elderly” (Clinical Geriatrics 2010; 18:20-24). Describing her special interests and hobbies, 43-year-old Dr. Timmons said she is greatly interested in neurotrauma, which is injury to a nerve, especially part of the central nervous system (the brain and spinal cord). As far as hobbies go, she plays the guitar and is fond of live music—mostly blues and folk. “I also like keeping fit, which I do by walking on the treadmill and weight training. Unfortunately, I don’t have much time to do many of the things I enjoy. I obviously would also love to spend more time at home,” she says. Dr. Tracy Timmons, her wife and 8 year-old stepson reside in Timonium, Maryland. 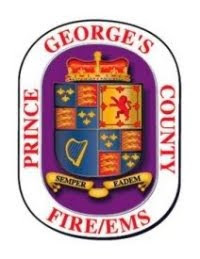 Every fire academy in the country teaches their recruits that safety comes first, but Prince George’s County Fire/Emergency Medical Services Department (PGFD) has taken this concept one step further. In addition to the standard firefighting and emergency medical services training, PGFD has found an innovative approach to teach their recruits about the hidden dangers facing firefighters, including cancer. What began as a weekend homework assignment became something much more as a recent recruit class at PGFD set out to investigate the correlation between firefighters and cancer. The Firefighter Cancer Support Network (FCSN) whose mission is to provide support to Fire Department members and their families when dealing with cancer, was excited to learn that PGFD has found a way to integrate this very important education into their recruit classes and hopes that other fire academies will follow PGFD’s lead. Numerous studies have shown that firefighters face a significantly higher chance of being diagnosed with cancer than the public they serve and education is a key factor to helping reduce that risk. One of FCSN’s primary goals is to educate firefighters about the importance of following safety procedures and ways to reduce their risks of contracting cancer. According to FCSN, “Absorption, ingestion, and inhalation are the three leading ways that firefighters are contracting cancer.” Simple steps such as wearing full personal protective equipment, including the self contained breathing apparatus, during and after a fire, as well as showering and cleaning dirty turnouts can all help firefighters lessen their risks to the dangerous cancer causing carcinogens.